The new 2018 Volkswagen Tiguan has a lot to offer, and since its arrival on the market, it has been very popular with consumers. Much of its success is due to its ability to combine the driving pleasure that is expected from a Volkswagen vehicle with a cabin that is now much more versatile and welcoming. Thus, the new 2018 Volkswagen Tiguan is able to meet a variety of needs while being unique in its category when it comes to how it behaves on the road. The new 2018 Volkswagen Tiguan can accommodate up to 7 passengers thanks to an extended wheelbase that allows the addition of an optional third row of seats. The Tiguan is one of the only sport utility vehicles in its segment to offer this third seat and thus offer space for more than 5 passengers. The overall length of the new Tiguan increases by 268 millimetres while the volume of the passenger compartment increases by 60% compared to the older generation. The owner is therefore entitled to more than 1,000 litres of cargo space with all seats in place, and more than 2,000 litres with the rear seat lowered. The new 2018 Volkswagen Tiguan is powered by a 2.0-liter four-cylinder engine producing 184 horsepower and 220 lb-ft of torque. This engine is paired with an 8-speed automatic transmission that delivers linear performance while being refined in its behaviour. With this engine, the Tiguan is one of the most powerful SUVs in its segment, but it is also one of the most fuel efficient. The 2018 Volkswagen Tiguan is priced at under $ 30,000 with the front-wheel-drive models, while all-wheel-drive 4Motion is available for a few thousand dollars more. 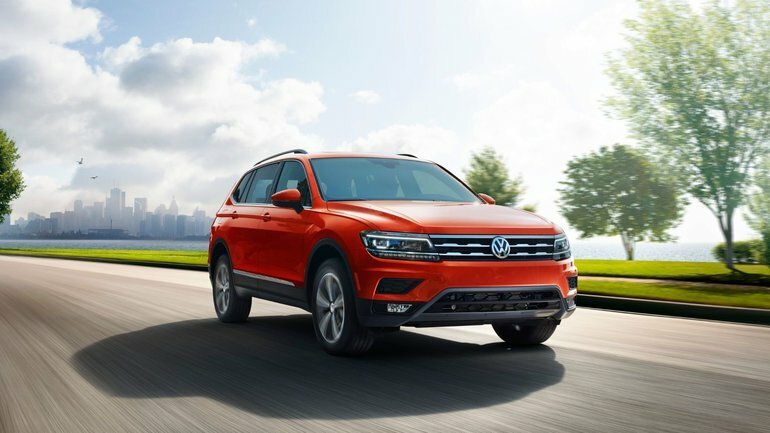 To learn more about the new Volkswagen Tiguan, contact us today! Book Your Test Drive Today! Get Your Price Quote!